I have been wearing glasses for about 7 or 8 years, at first only for driving as I was told by an optician I needed to, I keep them on all the time as I need them except when I'm reading up close etc. As far as I am aware there is NO requirement to tell the DVLA, BUT if you are required to take a roadside eye test and are not wearing your glasses and thus fail the test, you could end up in the brown sticky stuff (and not toffee). You are meant to inform DVLA if you have a reduction in vision. The basic roadside test would be a number plate at 20m. I have known of 1 person who an optician informed DVLA that the patient was driving and was almost legally blind. He is supposed to declare it if I remember rightly. You could shop him to your local constabulary before it causes an accident. It's the vanity /ego cxxp I don't get to risk driving and endangering himself and others because he "doesn't like glasses".. The problem is he is more likely to stick some other poor sod in a wheelchair than end up in one himself. Shop the ******. It’s our families he endangers. If a doctor advices you to refrain from driving after an operation etc it invalidates your car insurance if you drive. If an optician tells you to wear your glasses for driving and you don't and cause an accident I would imagine the same applies. Worth checking. Found a link on the insurance rules. The DVLA website contains advice on driving and eyesight problems. If you have the code 01 on your licence then you must wear the prescribed eyewear while operating that class. As you see I have it and yet my optician has told me that my eyesight is good enough to pass without glasses, but there could be that one day when my eyes are tired etc. 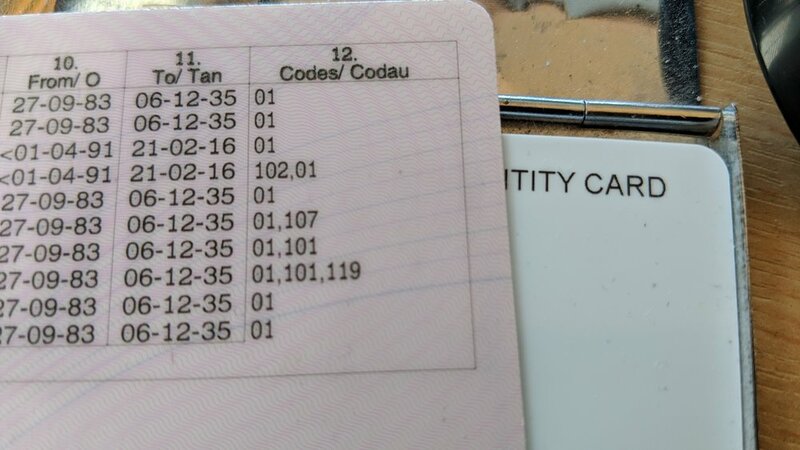 Sod the driving licence we want to see your tity card!